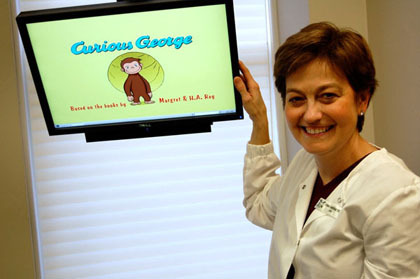 Parents frequently ask when they should bring their child in for their first dental visit. Early examination and preventive care will protect your child’s smile now and in the future. Dr. Paris recommends you bring your toddlers with you when you have your appointment to get them used to the dental environment. We schedule an initial appointment for the child to be seen and evaluated once they are about three years old or earlier if there is a dental problem. Tooth decay, if left untreated even in the earliest stages of life, can have serious implications for a child’s long-term health and well-being. Early preventive care is a sound health and economic investment. Without preventive care, the impact of tooth decay on child development can be significant. Childhood cavities have been linked to lower-than-ideal body weight and lost time in school. The effects of poor oral health may be felt for a lifetime. Dental problems can begin early – even before we see the first teeth. A big concern is Early Childhood Caries (cavities), also known as baby bottle tooth decay or nursing caries. Good habits start VERY early. Beginning at birth, you can clean your child’s gums with a soft infant toothbrush and water. Some parents find it easier to wipe the gums with a moist soft washcloth. Remember that most small children do not have the dexterity to brush their teeth effectively. 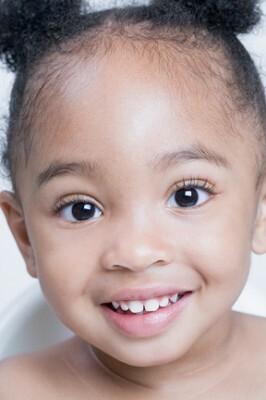 Unless it is advised by the dentist, do not use fluoridated toothpaste until age 2-3, and then only a pea-sized amount.